The first part of successful discipline is managing the moment: setting clear limits, disengaging from emotional power struggles and taking decisive action to “mean what you say”. You don’t always get perfect results, that is, your children rarely say “oh gee mom, thanks for that good advice. Now let me make a better choice and never do that again.” Remember, kids by their very nature make poor choices, do incredibly stupid things and either intentionally or accidently break many of the rules that keep them safe and happy. Parents are disciplinarians, eh hem teachers, whether they like it or not. When you think of discipline as more than crisis management, you become a more effective teacher. Instead of policing bad behavior, you are consistently reinforcing appropriate behavior and essential values all day long. It’s easy to sabotage positive discipline by losing track of the other aspects of your day that influence children’s behavior. As discussed in last month’s column, the best discipline practices require a two-fold response: managing the moment and evaluating the bigger picture. Here’s the bigger picture. Rules: It’s often hard to believe but children love rules. They don’t love rules when you’re nagging them or when the rules pop up when it’s convenient for grown-ups. Rules consistently guide choices and prevent off-the-wall behavior. Decide before the problem begins what rules you need to keep your child safe and your family sane. Limit the number of rules so your child can remember them, start with three to five. Then commit to teaching the rule. It isn’t really a rule if it isn’t worth your time and energy. Routines: Routines are a sweet way of making rules child-friendly. If bedtime is 8:00, the bedtime routine softens the discomfort of saying good night. Children take great comfort in order. Routines reinforce your family priorities: patterns, habits, schedules, chores and responsibilities. Routines shape all family activities. Choose what works in your home to make each day easier and your family connection stronger: where your child sits at the dinner table, a surprise word-for-the-day at breakfast, a family game for car rides or helping hands in the kitchen. Many battles can be eliminated by refocusing the activity and making it fun. Communication: Words, body language and setting can make all the difference between a smooth day and a crazy day. Children understand a lot but they are also easily distracted and easily misinterpret adult messages. First, practice saying what you want instead of what you don’t want. How can a preschooler translate don’ts into do’s if the grown-ups struggle with finding better alternatives? Second, stay calm. Once emotions fuel communication, your child is focusing on the emotions (anger, frustration, impatience, fear, anxiety, or confusion) instead of the message. Children truly can’t “hear” you through the emotional storm. Finally, keep time open in your schedule to just listen. Children’s emotions, questions and problems need an opening to percolate up into a safe opening. Communication can’t always be scheduled or planned. When discipline seems most stressful, make sure you have down time to breathe, regroup, play or just be together. Age-Appropriate Expectations: Children thrive with challenges and high expectations. 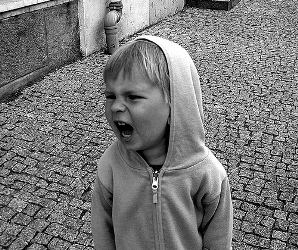 Many discipline conflicts occur because children want to feel powerful. Unfortunately, children crave inappropriate power (e.g. setting their own bedtime, deciding family purchases, yelling at or hitting parents) as much as they crave appropriate power. Parents are the ones who must choose between the two. Give your child choices and responsibilities that support your child’s independence without disrupting family harmony: what to wear, the sequence of doing a less appealing activity, and look for hundreds of ways for your child to help in the family. Build pride for effort and accomplishment every day. Skill-Building: Children struggle because they lack the skills to function maturely in the world. Childhood is the time for social/emotional skill-building: self-control, restraint, learning to compromise, delaying gratification, bouncing back from frustration and disappointment, facing fears and obstacles. Parents are a child’s first social/emotional teacher. The discipline moments are easier if a child has numerous other practice opportunities to learn and practice these skills. The best discipline is two-fold: managing the moment and on-going practice. The disciplined child is one whose parents step in to set limits. More importantly, the disciplined child also learns self-discipline – to make successful choices and correct mistakes. Daily practice helps your child to master a variety of situations, to act appropriately despite obstacles and setbacks. Don’t get frustrated by the moments. It’s what you do all day long that really matters.